A new study from the Pew Research Center has found the majority of Americans do not believe the Supreme Court should overturn the historic 1973 Roe v Wade ruling that established abortion as a right for women. As the US shifts into a Republican presidency, the issue of Roe v Wade and abortion rights continues to be a contentious issue where neither pro-life nor pro-choice advocates can make concessions. But, as the poll indicates, the majority of US citizens do not want to see a woman lose her right to an abortion. The research found that 69 percent of Americans do not want to see Roe v Wade completely overturned. 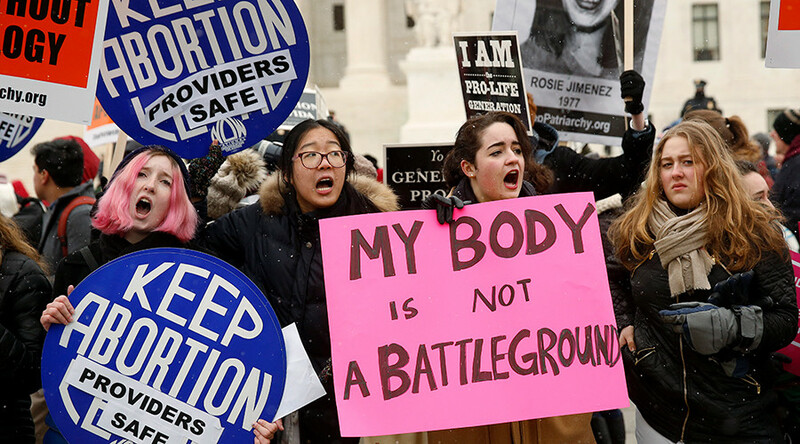 Most Americans have supported the Roe v Wade since the ruling 43 years ago, and that support has been growing, despite an increasing amount of restrictions placed on abortion providers. The Pew Research Center conducted a similar survey in 2013 and that study found that 63 percent of Americans did not want to see Roe v Wade overturned. Support for Roe v Wade is traditionally determined along party lines, with Democrats often being defenders of a woman’s right to choose with Republican lawmakers pursuing legal moves which threaten the court’s ruling. But the Pew Research Center found that the issue is not as clear as it may seem. While 84 percent of Democrats and those who lean Democratic say the Supreme Court should not completely overturn the ruling, 53 percent of Republicans agree. The Supreme Court case highlights some of the nuances within the Republican Party. As a candidate, President-elect Donald Trump seemed to support overturning the ruling, saying in an interview with 60 Minutes that he would appoint pro-life justices to the bench who would possibly overturn the 1973 ruling, making it a state issue. Fifty-seven percent of conservative Republicans would agree with that line of thinking, but only 27 percent of moderate and liberal Republicans would be on board. The level of education also appears to play a big role as 88 percent of those with postgraduate degrees did not want to see abortion cease being a federally protected right. Only 62 percent of those with a high school diploma or less feels the same. Religion is also a large factor – particularly for Protestants. In general, 63 percent of Protestants do not support completely overturning the ruling, but when that group is further divided into white Protestants, that number shifts dramatically to 49 percent who do not think it should be overturned, while 47 percent do.